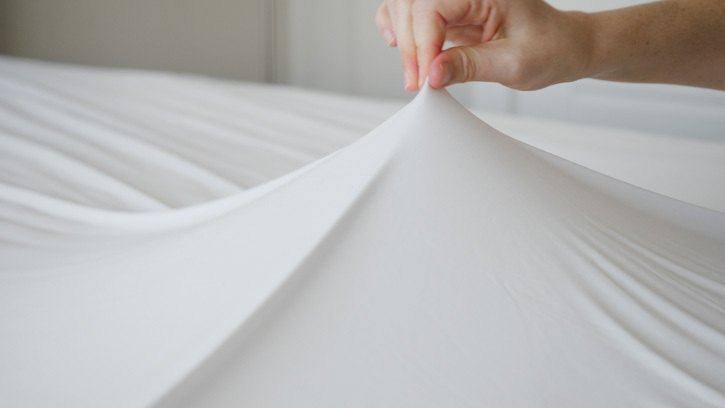 There is a little more to Purple’s mattress protector than what meets the eye. 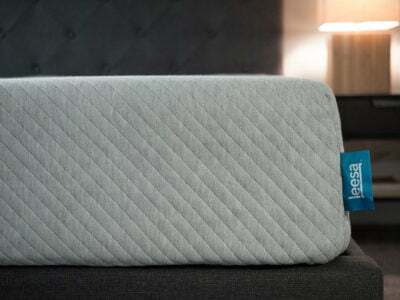 The stretchy, water-resistant material will spare your mattress from damage without a doubt. But is it comfortable? Read on for my full review. 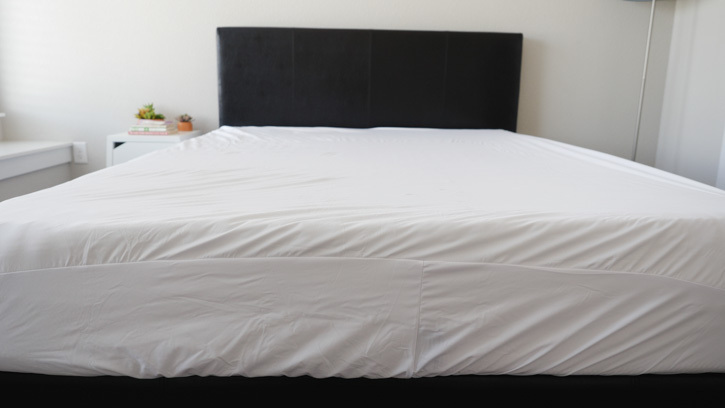 Purple's mattress protector goes on your bed like a fitted sheet and fits any mattress up to 13" deep. It's machine washable, dryer friendly and also dust mite resistant and water resistant. As I say with all of my mattress protector reviews, make sure you follow the care instructions carefully for your specific protector. 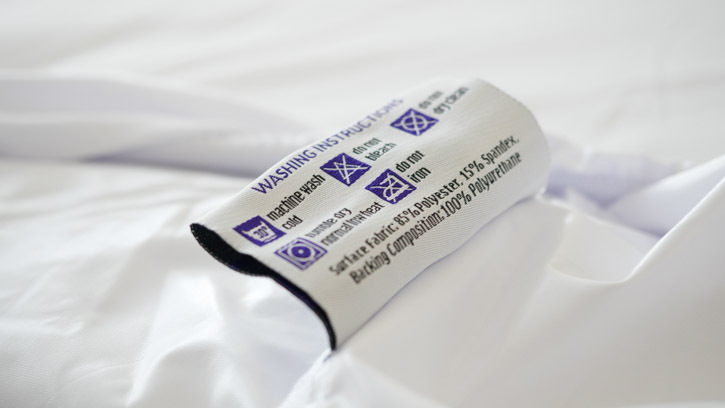 The instructions are simple for this protector: machine wash cold and low tumble dry. I had no issues with durability or shrinking when I washed and dried my protector. 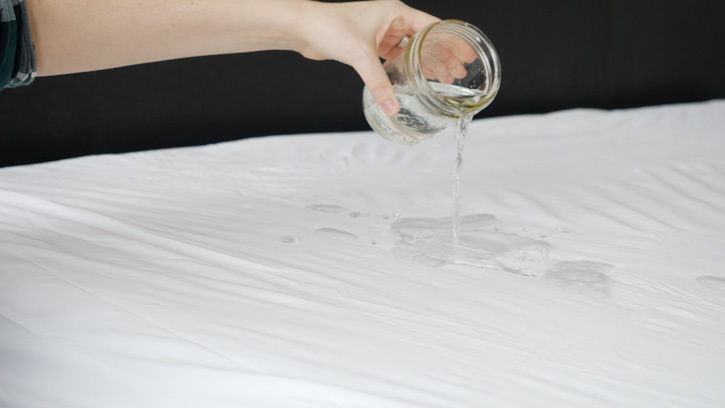 If you dry your mattress protector (at least the waterproof ones) on a heat that’s too high, it can potentially damage the waterproof membrane of the protector. 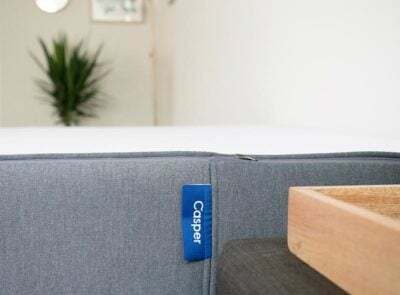 This will allow leaks and spills to get through your protector and onto your mattress, thus violating the mattress warranty. There is no trial or return policy with the Purple mattress protector. They say this is “due to the nature of the product,” but I’m not really sure what that means since plenty of other mattress protector brands offer returns if customers aren’t satisfied. 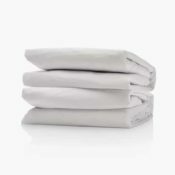 Purple does offer a one-year warranty on its mattress protector. You can read more about the warranty on the company’s website here. Purple is a relatively big player in the mattress industry. (Check out our review of the Purple mattress here.) 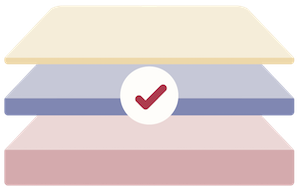 This means the company knows that adding a protector can spare your mattress from warranty violations caused by liquid/water damage. 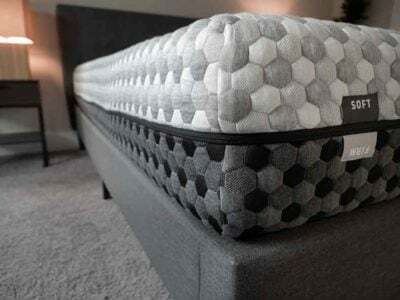 The protector is the same material on all five sides, which means it can protect your mattress from spills on the surface and down the sides. The water immediately pooled into a spot on the bed and eventually, some of it absorbed into the layers of the protector. I left the water there for an hour (something that could happen if there is an accident in your bed overnight). I had no issues with leaks, dampness, or moisture underneath my protector. It didn’t fully absorb the water, but it passed my waterproof test! The Purple mattress protector comes in sizes that range from Twin to California King (including Twin XL and Full XL). 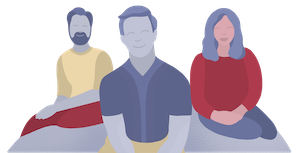 Purple says its protector is designed to “complement” its own mattresses, but the protector should fit any mattress up to 13″ thick. 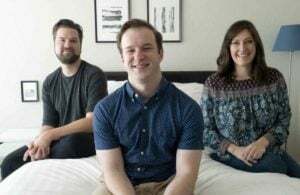 I sleep on a 10″ thick Casper mattress. The protector went on very easily and stayed fairly secure thanks to the strong elastic. I did have some extra material to deal with, because my mattress is not as thick as the Purple mattresses. This caused some creasing and shifting at night as well as some crinkling sounds. 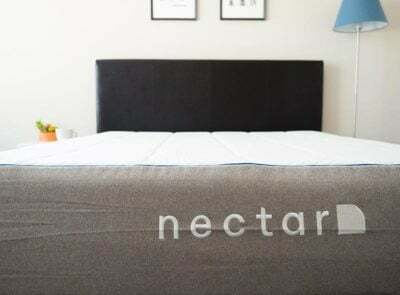 I think the mattress protector is virtually unnoticeable, but it does have more of a “plastic” like feel to it than some of the other quilted mattress protector options out there. 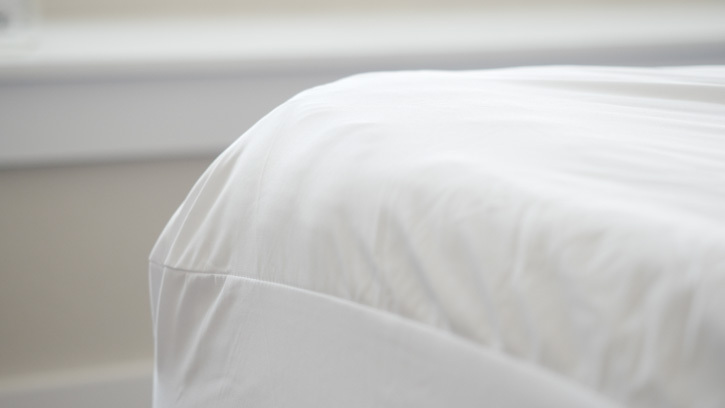 Depending on how thin your sheets are, some people might feel it more than others. The Purple mattress protector is a unique material. It’s stretchy and soft, not like terrycloth or cotton quilt. It is made of polyester and a little bit of spandex. The Purple mattress protector is slightly more expensive than other thin mattress protectors I’ve reviewed. A Queen size protector is currently sold for $59 at full price on Purple’s website. I think there was just a little too much extra material for a 10″ mattress. This can leave some creasing and shifting that might be pretty noticeable to some. I feel like those who sleep on a Purple mattress would enjoy this protector. It is stretchy and probably fits their mattresses perfectly. The protector may also be a good fit for those who are looking for a thin, water-resistant protector but don’t want one with a terrycloth or cotton/quilted surface. If you’d like to scope out some other mattress protector options, check out our overall best mattress protector picks. I am extremely disappointed in the performance of our mattress protector that we purchased through the purple website. According to the website the protector is suppose to prevent against liquid spills. We thought this would be an excellent idea to use in conjunction with mattress pads since we have a potty training toddler that sneaks in our bed. Well on its first test it failed miserably. Not only did the liquid go through the mattress protector but also got on the fire sock and mattress. The mattress protector was removed the next morning to be cleaned. In addition, I also cleaned the fire sock and mattress with Oxyclean with odor blasters. When that did not work I contacted Purple on March 21. I was told that a specialist would get back with me soon because the warranty department was not open at that time. After not receiving any contact from Purple I contacted them again on March 27. At that time I was told the problem that I called about on March 21 was closed out and I should expect someone to contact me again. I was contacted on March 27 regarding the above issue and I was asked to provide pictures and try to clean the spot with Oxyclean. I sent pictures and informed them that I did try to use Oxyclean and it did not work to remove stain or smell. I then received an email stating “The mattress should be fine and the spill should dry up and not cause any issues!” this is after I told them it has caused issues and the stain is not removed. It was like we were not reading the same emails. I have requested customer service contact me via on at least 3 occasions because this issue has been ongoing for over a week through back and forth emails. I have yet to receive a response except “I want to help you out the best way possible but this is not a warranty issues, the best advice we can give is how to git rid of the smell. We will not be able to handle your issue as a warranty.” I am thoroughly disappointed in the response of customer service. While purple has initially received my hard earned money their customer service ensures that I will not be doing business with them again.